Holiday apartment in an apartment complex, with outdoor space equipped with barbecue, gazebo, sun loungers and tables. 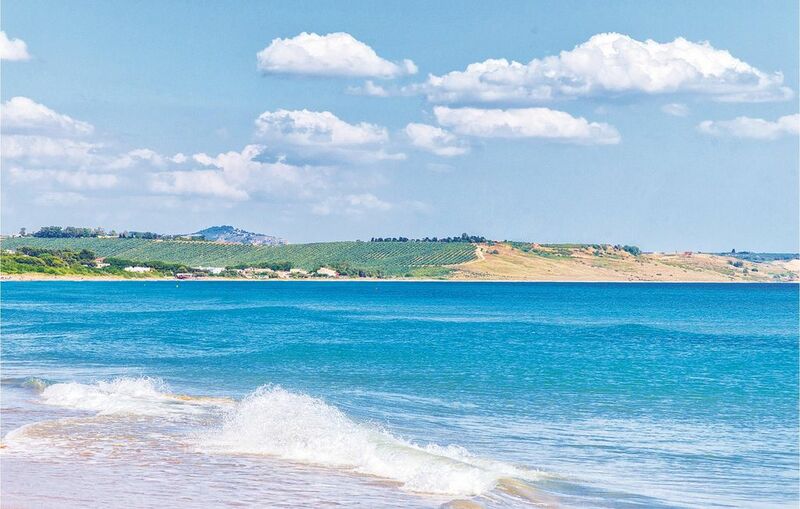 The property is located in one of the most renowned residential areas in Sciacca, San Giorgio, offering beach resorts, kiosks, restaurants, pizzerias, bars, groceries, public beaches. In the surroundings of Sciacca you will find various landmarks, churches and attractions, such as the Castello Incantato "Enchanted Castle", the natural reserve of Mount San Calogero (or Mount kronio), various churches with Arab, Norman, Greek and Franc influences, the three ancient gateways to access the town. Don't miss the chance to visit the Valley of the Temples and the archeological site in Selinunte. The international airport Falcone-Borsellino in Palermo is only 110 Km away. In the same complex are the accommodations ISS019 and ISR033.